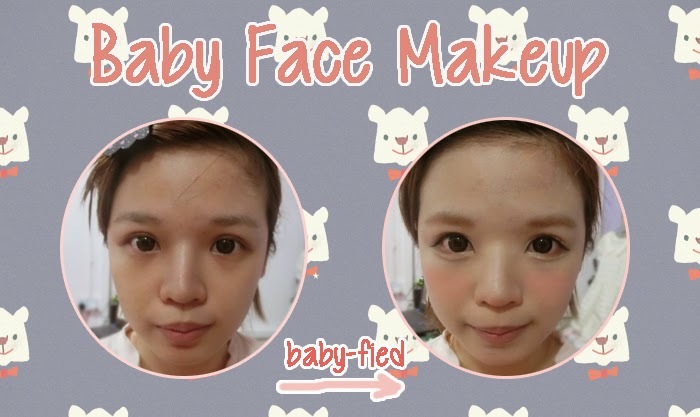 Today i'm going to do a tutorial on baby face makeup!! which means, i'll probably look like 18 years old when i'm 36 years old! OMG~! 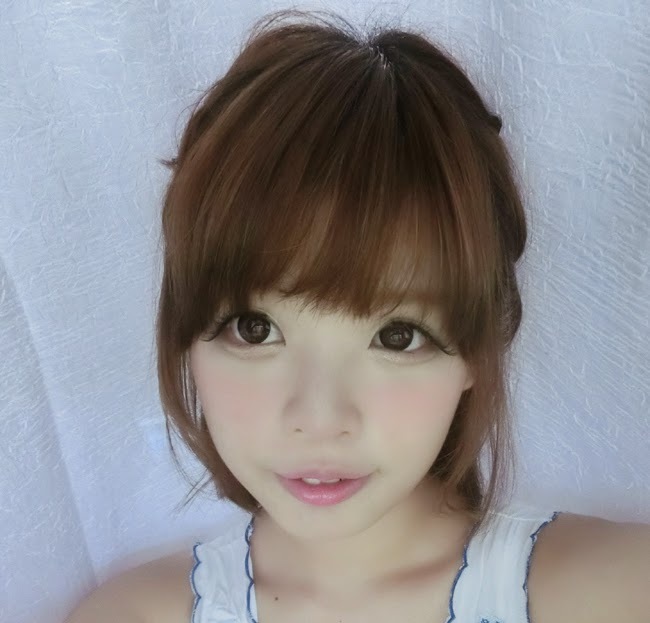 Because these makeup changes really make me look younger, i'm going to share with you all! 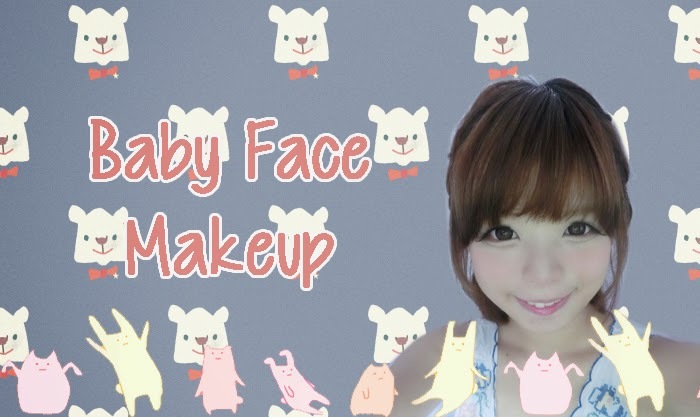 "Baby Face" normally has got shorter features and their features are centered. 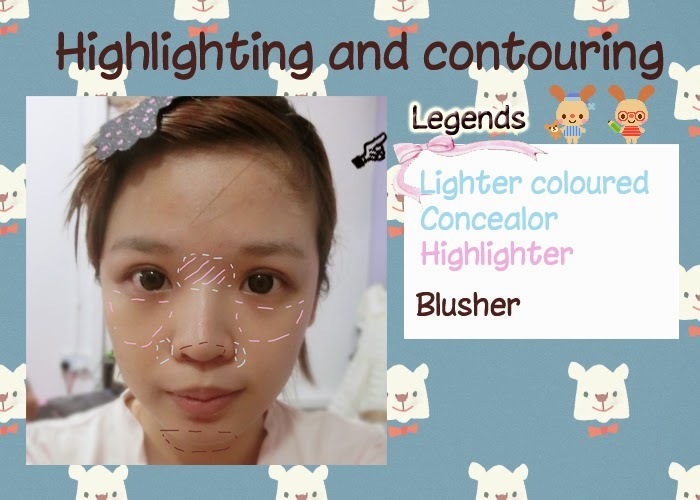 So we first need to highlight and contour our face so that they will look centered. Using lighter concealor on the nose bridge and nose flaps..
# sidestory : I personally saw how tsubasa-sama highlights her face. She uses this glitter generously on her cheeks! And... this glitter is very very shimmery!! Adding blusher/bronzer on the nose tip helps to make the nose looks shorter! 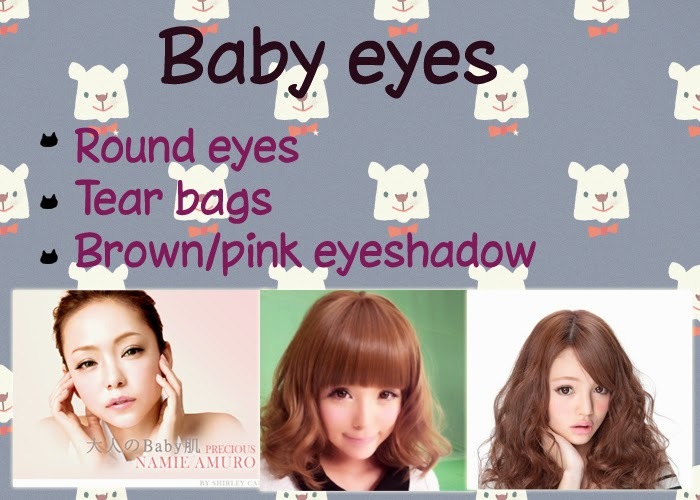 These pointers are so noticeably on three of my favourite baby faces! Namie amuro, tsubasa and chipopo! 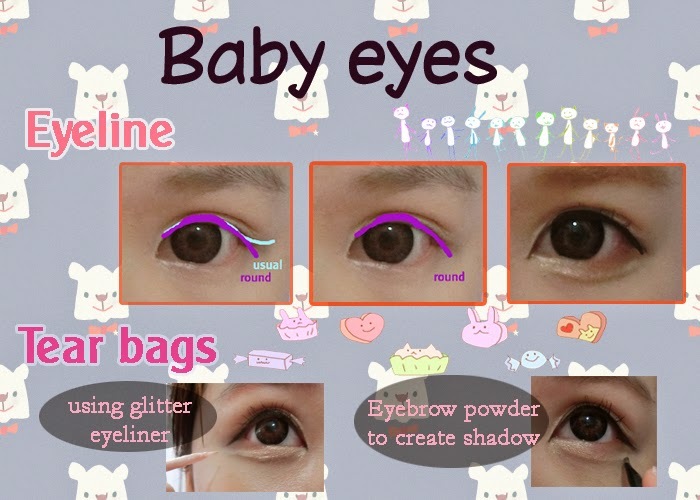 and here's how i do my baby eye makeup! Thank you!! I'm glad you liked this article! yes yes =D i can't live without makeup! i'm using etude tear liner. it's pretty lasting! 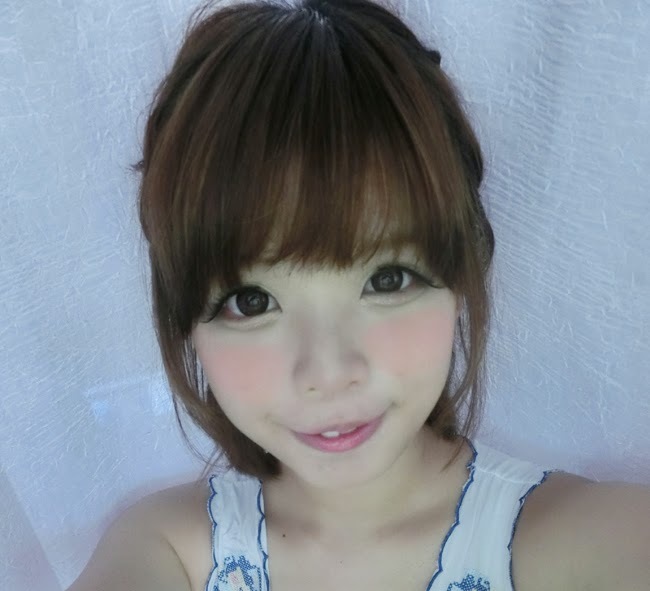 I also love using dollywink no.1 eyeshadow palette, the yellow eyeshadow! Hi kelly, can u share with us the products u used to create the look? do u apply any foundation before the conceler?